Does Tax-Loss Harvesting Occur within Funds of Funds? In order for tax-loss harvesting to occur, you have to actually sell the holding that has gone down. That’s what makes for a capital loss in the eyes of the tax code. Simply holding an investment that has declined in value isn’t a capital loss. 12% Vanguard Total International Bond Index Fund. The fund cannot decide to substitute other similar funds in the way that an individual investor can (e.g., selling Vanguard Total Stock Market Index Fund to tax-loss harvest, then buying Vanguard Large-Cap Index Fund as a temporary substitute). With a regular index fund, buying and selling within the fund happens primarily as a way to either use up cash inflows or satisfy redemptions. And in each case, the buying/selling will generally be approximately proportional to the existing allocation in the fund. For example, if an S&P 500 index fund currently appropriately reflects the S&P 500 and it needs to raise a significant amount of cash, it cannot simply choose to raise the cash by selling one stock that is down recently — otherwise the fund would no longer reflect the index that it is trying to track. Instead, the fund has to sell a little bit of everything. That said, when the fund does “sell a little bit of everything,” if the fund manager is conscientious about taxes, he/she will usually make a point to sell the shares that have the highest cost basis (thereby realizing the largest loss or smallest gain possible). But this is not the same level of tax savings that an investor could achieve if he/she was willing to sell all of a given holding when it is down and substitute some other similar holding. 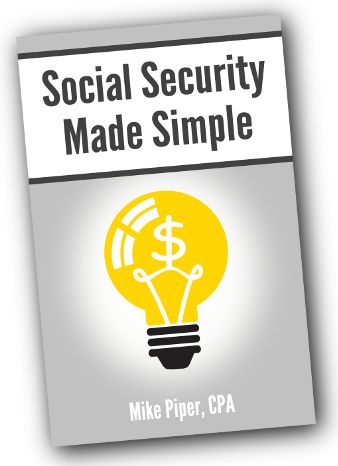 The Social Security Administration recently released two “emergency messages” to its employees regarding the changes to the Social Security rules that occurred as a result of the Bipartisan Budget Act of 2015. Here’s the memo about the changes to the voluntary suspension rules. You will be affected by the new rules regarding voluntary suspension (which affect various “file and suspend” strategies) unless you request suspension of your benefits prior to 4/30/2016. One thing that is particularly interesting, however, is what the voluntary suspension memo says about ex-spouse benefits. Specifically, it says that, even for people affected by the new rules, if a person suspends his/her retirement benefit, that will not stop an ex-spouse from receiving a spousal benefit on that person’s work record. “Any other individual” is pretty explicit. So it’s interesting to see the SSA stating that ex-spouses will still be able to receive spousal benefits during the period of suspension based on the work record of the person whose benefit is suspended. I’m not sure what to make of this. Perhaps the SSA has insider knowledge that further legislation is coming (and is expected to pass prior to 4/30/16) that will insert an exception for ex-spouses. Or perhaps the SSA has just decided — of its own volition — that the law doesn’t make sense as it is written, so they’re not going to enforce it. Aside from the above discussion about spousal benefits for divorced spouses, the other reason these memos are noteworthy is that they mean that SSA employees have finally at least been exposed to the new rules. That said, because the rules are still very new, mistakes and misinformation on the part of SSA employees is still likely to be more common than it would be for other, unchanged topics. So it’s a good idea to be especially diligent with double-checking any information you receive (from the SSA or otherwise) before relying on it for decision making. 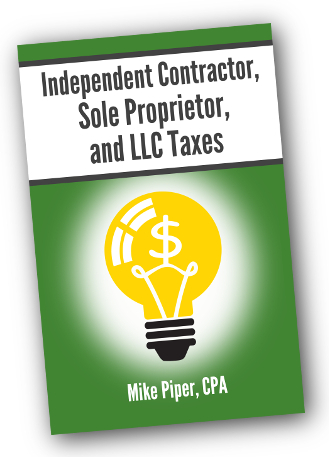 Is It Better to Be Taxed as an Employee or Independent Contractor? Firstly, we need to back up a step, because this question sets off some alarm bells. In other words, if the facts and circumstances of the work suggest that you are an employee, the business cannot simply decide you are an independent contractor and handle everything accordingly. And in fact many employers get in trouble with the IRS every year as a result of having misclassified their employees as independent contractors. The key point here is that, in the event that you really do have a choice between being an independent contractor or an employee (i.e., it is not simply a case of the business misunderstanding the rules and thinking that they can treat you as either one without any substantial difference in the work relationship), there are going to be factors other than taxation involved. 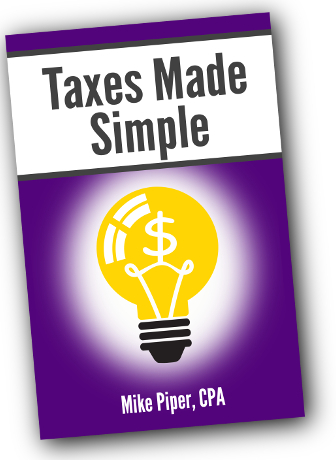 So What Are the Tax Differences? From a tax perspective, there are both pros and cons regarding the tax treatment for independent contractors as compared to employees. As an employee, you are responsible for paying Social Security and Medicare taxes in the amount of 7.65% (2.9% for amounts beyond the current Social Security earnings limit), and your employer pays a matching amount. As an independent contractor, you have no employer, so you get stuck with both halves of the bill (in the form of a 15.3% self-employment tax). Another disadvantage of being an independent contractor is that it requires somewhat more administrative work. 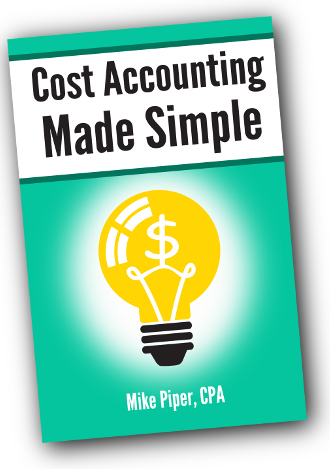 You’ll have to fill out Schedule C along with your Form 1040 every year to calculate the profit or loss from your business. In addition, because nobody will be withholding taxes from your income, it will (in most cases) be necessary for you to make estimated tax payments throughout the year. An additional advantage of being an independent contractor is that you’ll have additional retirement plan options available to you. Most importantly, you’ll be eligible for a solo 401(k) — alternatively referred to as an individual 401(k) — for which the contribution limits are quite high. 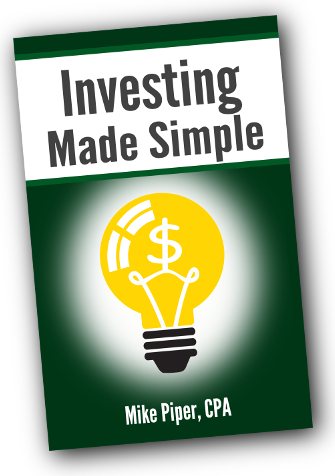 "Quick and easy read. No fluff, just straight to the point and gives you more helpful information that you might imagine. If you are looking to get the bottom line information you need to start your business right then this book is a must have." Fear is a powerful sales tool. [Political event X] just happened or is likely to happen. As a result, the economy will take a nosedive. You should buy my product to protect yourself. The technique is popular because it’s effective. The economy is going to hell, and that’s why you should buy gold. The economy is going to hell, and that’s why you should buy my market-timing newsletter. The economy is going to hell, and that’s why you should buy this annuity. The economy is going to hell, and that’s why you should invest in my hedge fund. The fact that this approach can be used to pitch just about anything — as well as the fact that it can be used to appeal to either of two directly contradictory sets of beliefs — is precisely the reason you should never trust it. In order for the pitch to work out well for you, the pitch-person has to get their political prediction right, they have to get the resulting economic prediction right, and they have to be right (and honest) that the product they’re pitching is indeed a good solution in a scenario in which the economic prediction turns out to be right. That’s what’s necessary in order for it to work out well for you. In order for it to work out well for them, they just have to convince you to buy in the first place.